According to utilities offering rebates, the most energy-efficient pool pump — the only ones that qualify for efficiency rebates — are multispeed pumps with automatic control systems. Multi Speed pumps in San Clemente or energy efficient pool pumps can also significantly reduce the power consumption of a swimming pool by over 65%. The difference over a season can be immense. 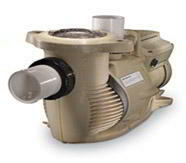 Pumps come in two-speed, four-speed, and variable-speed models, so you can turn the speed down for regular daily use saving a lot of energy, and use higher settings for more thorough, less frequent cleanings. New energy-efficient pumps also move the water more efficiently for further savings. Since multi speed pumps in San Clemente circulate the water to keep it clean, the better they work, the less a filter has to work. Here are realistic estimates when comparing IntelliFlo pumps to a traditional pump running 12 hours per day at various utility rates (in dollars per kilowatt hour [kWh]) in a 20,000 gallon pool.